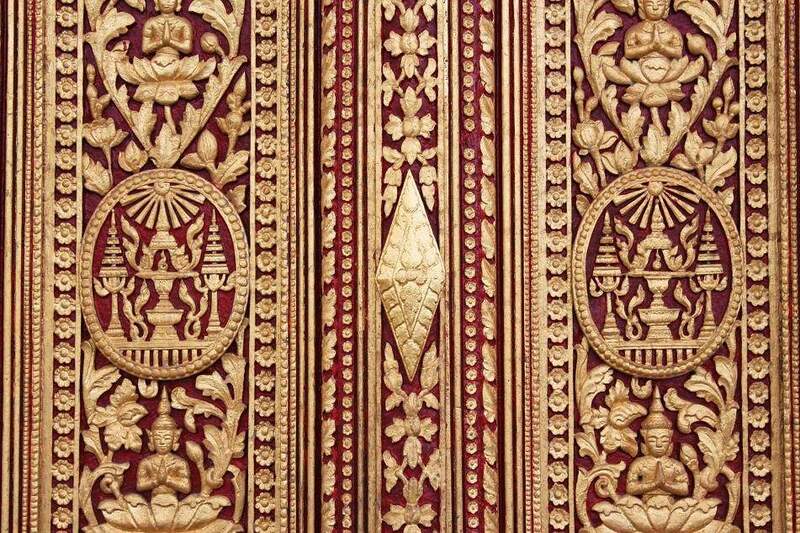 The Cambodian Royal Palace | What an Amazing World! Cambodia is one of few remaining kingdoms in Asia, and the world, with King Norodom Sihamoni as the current ruler who succeeded his father, King Norodom Sihanouk, in 2004. In my previous posts I have said that Angkor used to be the capital of the Khmer empire. However, long after the decline of the once vast empire, the capital moved several times to several cities (in fact, Phnom Penh also briefly served as the royal capital for 73 years in the late 15th century). Then, in late 19th century Phnom Penh officially became the capital of the Kingdom of Cambodia up to present. 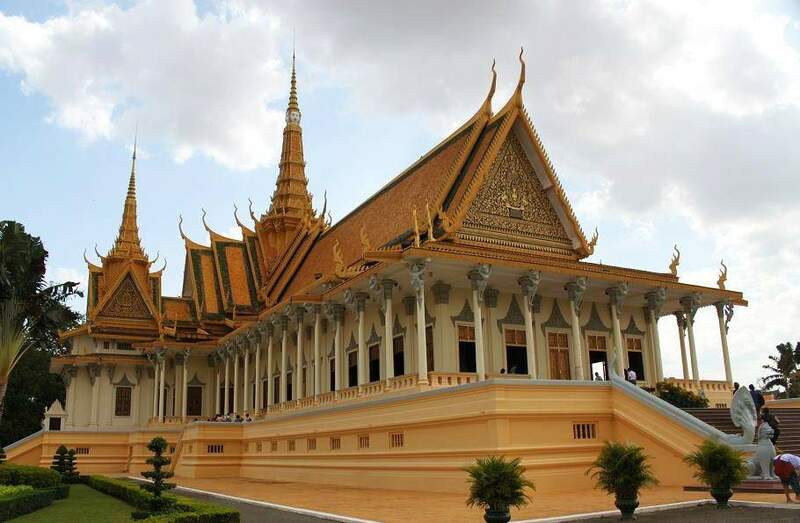 After Phnom Penh’s re-establishment as the capital of Cambodia during the reign of King Norodom I, a new royal palace complex which consists of several buildings was started to be built not far rom the banks of Mekong River. 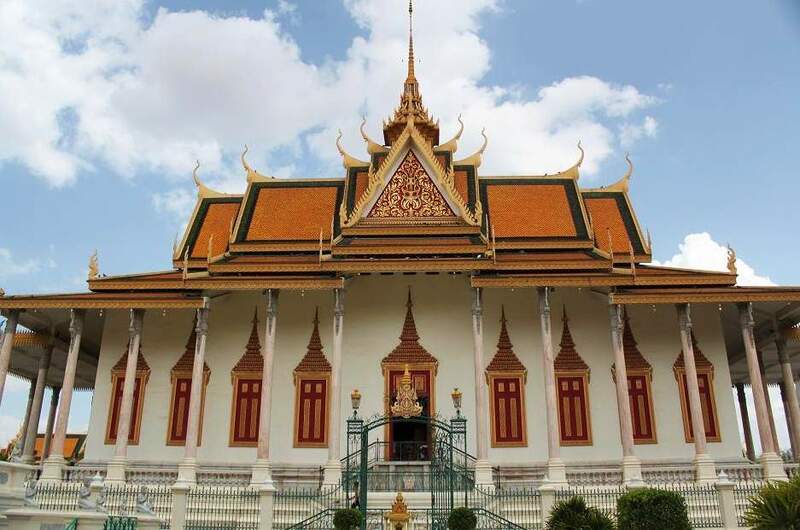 From the time of its completion until present days, it still serves as the primary site for every Cambodian royal ceremony, including coronations and royal weddings (although during the Khmer Rouge regime, the royal palace was abandoned for a short period of time). Different from nearby Cambodian National Museum which is painted in bright reddish color, the royal palace is painted in yellow which relates to Buddhism. 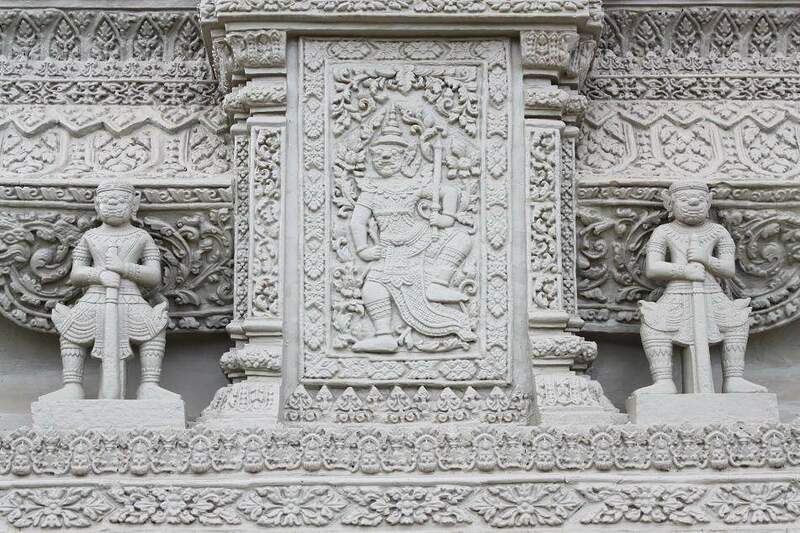 There are two most important buildings inside the entire complex, which are The Throne Hall and The Silver Pagoda. The Throne Hall serves as the place where the King receives dignitaries from all over the world, while The Silver Pagoda serves as the palace’s official temple. Inside the pagoda, statues of Buddha which are made from different materials, in different positions and sizes, adorn the inner gallery. 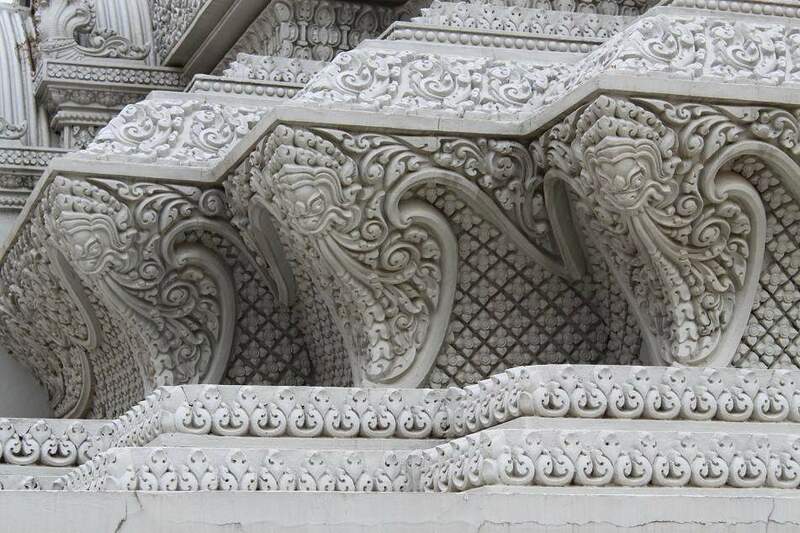 The name silver itself was attributed to the temple due to its silver tiles (currently hidden under the rug) which were inlaid by King Norodom Sihanouk before Khmer Rouge took control of the nation. 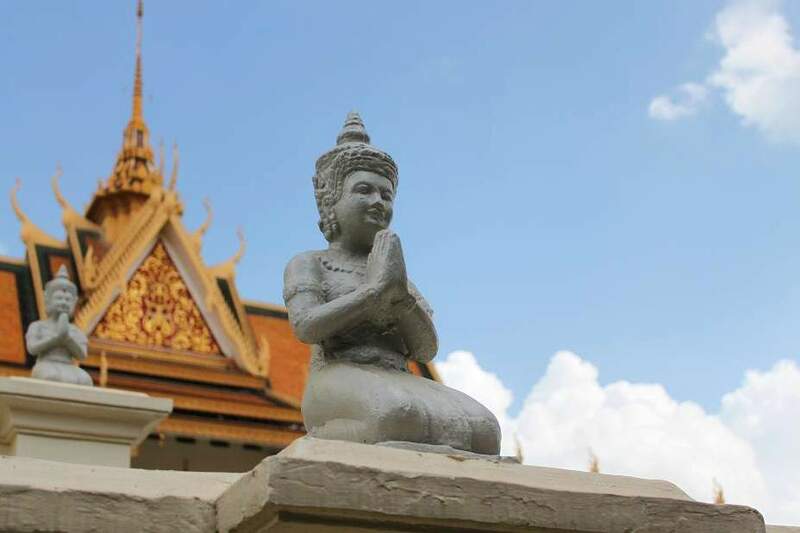 Although it’s grandeur is humbled by The Thai Grand Palace, it is still an interesting place to visit since you can experience how it feels to be in the middle of the place which plays a central role in the Cambodian royal affairs. 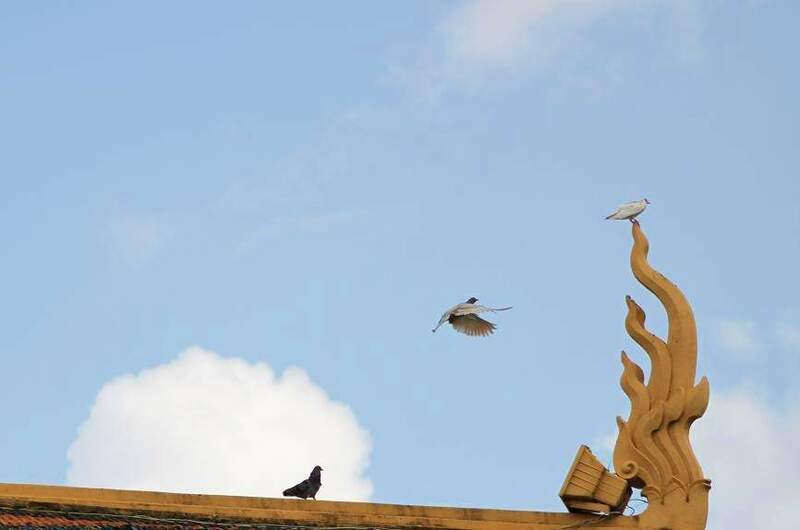 Pingback: Phnom Penh in a Glimpse « What an Amazing World! It’s beautiful! I hope to visit one day. 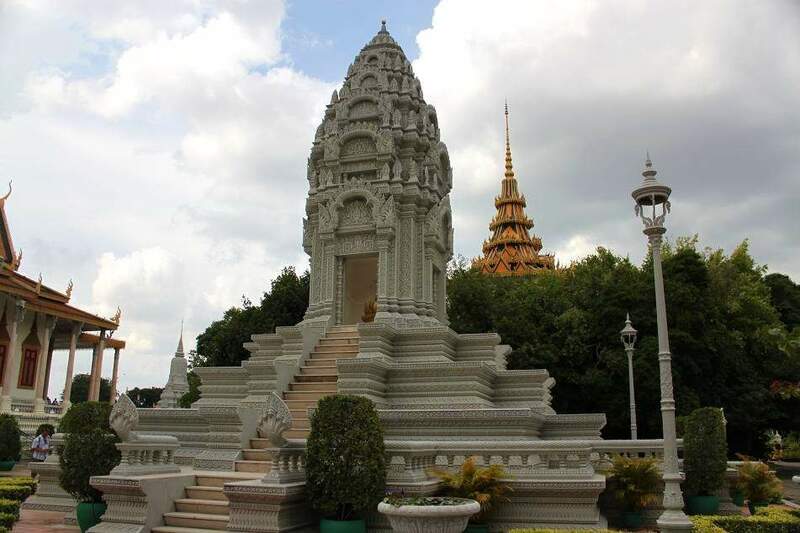 If you’re in Phnom Penh, I guess it’s one of the must-see places. Thanks for stopping by! Wow, these pictures are incredible! I would love to go to Cambodia but haven’t made it there yet. How much time do you think you need to see the main sites? Would ten days do it justice or do you need a few weeks? Thanks!!! Actually if you go to Cambodia, you should never miss Siem Reap (and nearby Angkor temples). I would say you’ll need at least 3 days there. But I guess 4 or 5 days would be perfect. If you have ten days of time, you can also go to Phnom Penh (2 or 3 days would suffice), Sihanoukville (2 days, if you like beaches), and Battambang (2 or 3 days). I’ve never been to the latest two, but some travelers that I met had mixed reviews about those places. I absolutely love this. Great photos! Beautiful pics. what a wonderful location! It’s so beautiful and like a brand new palace. It does look like brand new because the paint still radiates bright and fresh colors. Im so glad I discovered your blog. I am enjoying very much traveling with you! Thank you very much for your lovely comment. I’m really glad that you enjoy it. 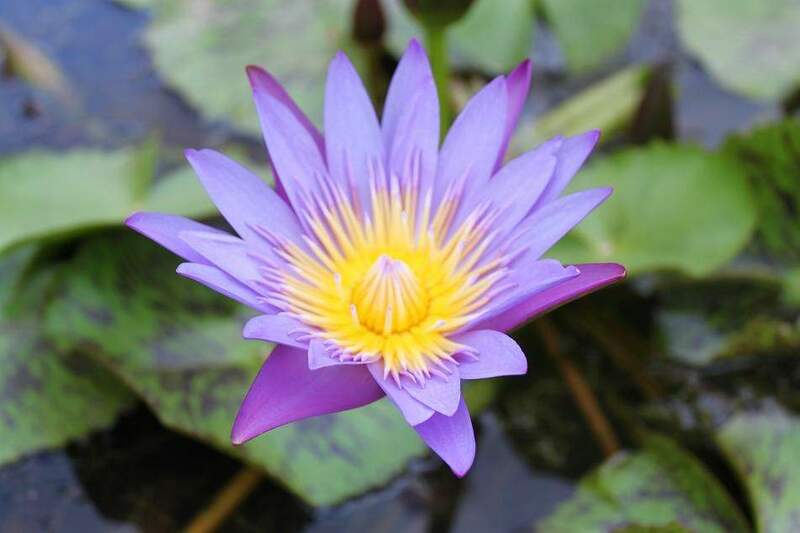 Hello Bama, it’s me again, reading your posts and love all… About Cambodia, I am one of Cambodia lovers. If you have time to revisit the country again, I recommend you to visit Preah Vihear Temple (with the amazing cliff). it was like standing in our Tanah Lot but higher. I got sunset there and haha.. I was the only foreigner there among +/-10 visitors. And the other place is Beng Mealea, a totally ruined small temple, 1 hour drive from SR. Different to Angkor, Beng Mealea is less crowded. I was there in early morning just to see and feel the morning dew and I was the only guest there. Have you been in Banteay Srei, 30km North of Angkor? 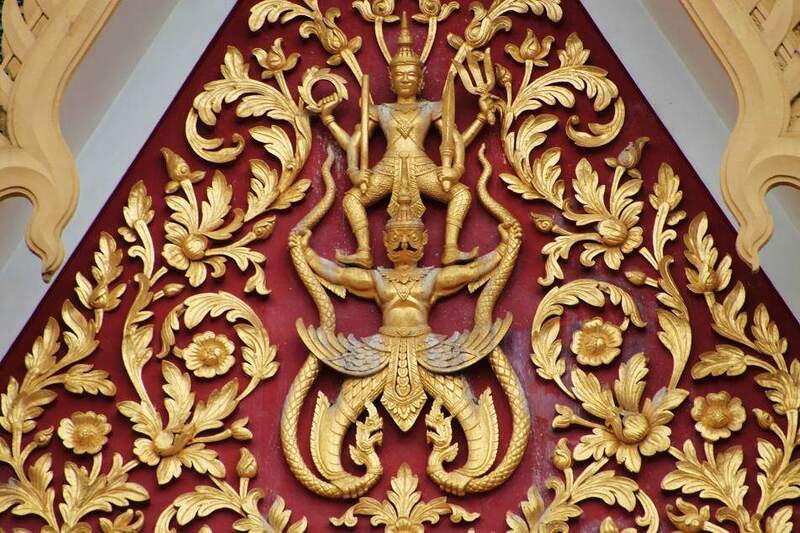 Incl in Angkor ticket, for me, it’s the best temple for the delicate carving and the color is pink! It’s really fascinating to learn that you’ve actually been to Preah Vihear as it was disputed between Cambodia and Thailand. It’s not a place most foreign visitors go I believe. Speaking of Beng Mealea, I found out about that temple only after I returned home, so I need to make another visit to the country in the future. Plus, back then I traveled in a much faster pace and I only spent 2 full days in Siem Reap. Banteay Srei has always been on my wishlist but I didn’t have enough time when I was in Cambodia more than 2 years ago.